HSRP (Hot Standby Routing Protocol) | CCIE, the beginning! – HSRP provide redundancy for gateway router, when the active router goes down or one of its critical connections, another router can replace it. – Using HSRP on an interface automatically disable ICMP redirect. – Routers participating in the HSRP architecture exchanges information about routers statuses in hello messages every “hello time” (3 seconds by default). – The router with the highest standby priority will be selected as the active router and will handle traffic related with the virtual ip and MAC. – If the active router stop sending hello messages for 3* hello time (10 seconds by default) the router with next highest priority will become active. – The virtual MAC address is generated automatically using the vendor code and the HSRP group. – A router (layer3 switch) can be active for one VLAN and standby for another VLAN. – These features can be used to provide load balancing of traffic between routers. Not only inbound interface status (up/down) participates in the HSRP process, but other critical interfaces too like outbound. If outbound interface goes down the priority of the router is decreased by a configured number (priority) to let specific routers in the group or in the VLAN to become active. Note that the default gateway MAC address matches the one of the virtual gateway from the previous routers outputs about HSRP information. 00-00-0c-07-ac is assigned by default and 28 in hexadecimal is the representation of the group 40 in decimal. the traffic transparently took R2 as the default gateway because it is the active router in the HSRP group 40. – R2 failure, by completely shutting down R2. – R2 upstream interface e0/0. To see how HSRP works we enabled “debug standby events” along with a non-stop ping from the LAN host. Note that the two lines of request timeout correspond to the default standby timeout of 10 seconds with the convergence time of the routing protocol in place. Even though the default gateway IP and MAC addresses are still the same, the Traffic path to 10.10.10.1 now has changed and niow forwarded through R3. !!! !First the holddown timer of 3x3sec expired!!!! After receiving hello from R2 telling that it has better priority R3 switch to the “Active” state to actively participate in the election, and the result is to go back to standby state. 2- R2 upstream interface e0/0. Figure 4 depicts captured traffic from the LAN between the two routers which shows HSRP traffic (Hello messages) between R2 and R3. 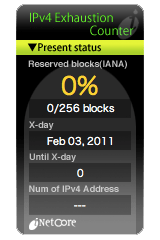 You can note “gratuitous ARP” packets sent by the virtual router to inform the switch about IP changes. This is a great posting. I have a question though, when and why did you change the hello and holdtimes on R3? Your are right, indeed, I manually changed the hello timer value to 500 ms and holdtime to 1 sec before test-2 with the tracked interface, I’ve done it to accelerate the process of failure detection and I didn’t mention it, thank you for the comment!